James Alan McPherson, who overcame segregation and the narrow prism of a legal education to become the first black writer to win the Pulitzer Prize for fiction, died last Wednesday in Iowa City. He was 72. His death was announced by the Writers’ Workshop at the University of Iowa, where he was a professor emeritus. 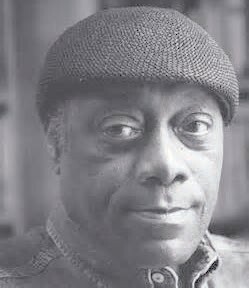 James Alan McPherson Jr. was born in Savannah, Ga., on Sept. 16, 1943. His father became the first black master electrician in the state, but only after frustrating delays blamed on racial discrimination drove him to alcoholism and gambling debts that resulted in a period in jail. His mother, the former Mabel Small, worked as a maid. James helped support the family by delivering newspapers. As a young boy growing up in the South, Mr. McPherson was an avid comic book reader until he discovered what he called the colored branch of the Carnegie Public Library in Savannah. While still in law school, he won a contest sponsored by The Atlantic Monthly magazine for a semi-autobiographical short story called “Gold Coast” about the relationship between a black aspiring writer supporting himself as a janitor and his older white supervisor. As in “Hue and Cry,” Mr. Macauley wrote, the author established his viewpoint as a writer and a black man, but not as a black writer. He attended segregated schools, and, after working summers as a railroad dining car waiter, earned a bachelor’s degree from Morris Brown College in 1965. He graduated from Harvard Law School, but decided against a legal career — instead, enrolling in the Writers’ Workshop at the University of Iowa, where he received a master of fine arts degree. Still, he would invoke the equal protection clause of the 14th Amendment and infuse his literature with the principles of diversity propounded by Albion W. Tourgée in his brief in 1896 against segregated railroad cars in Plessy v. Ferguson. McPherson married the former Sarah Lynn Charlton. Their marriage ended in divorce. He is survived by their daughter, Rachel McPherson; a son, Benjamin; a sister, Mary McPherson; and a brother, Richard.